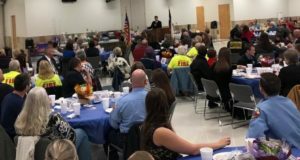 As the number of 911 calls for service continues to increase in Walker County Emergency Services District #2, New Waverly Firefighters and District officials have been working to meet those demands, with an eye on keeping costs in check. 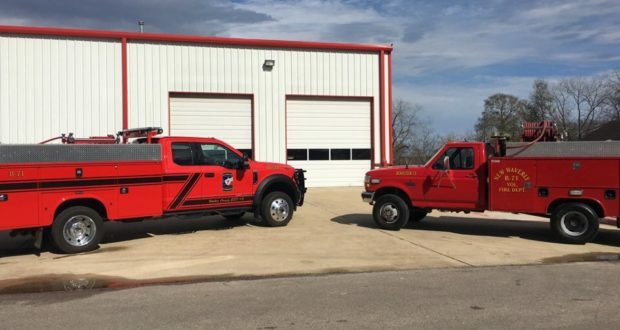 The New Waverly Fire Department operates out of four stations in southern Walker County, with two of those stations manned around the clock by state certified firefighters. These firefighters primarily work full time for other agencies across the region and work part time in New Waverly bringing their training and experience to serve the citizens of WCESD #2. They are backed up by a select crew of volunteer firefighters, many of which are also certified as firefighters and EMTs. New Waverly Firefighters are cross-trained as EMTs and Paramedics as the majority of the calls for service are for medical emergencies, accidents, and rescue calls. In order to respond quickly, Firefighters often respond in smaller, specially equipped apparatus that carry extensive medical equipment as well as firefighting and rescue tools. These units carry many of the same pieces of equipment as do ambulances, including 12 Lead Cardiac Monitor/Defibrillators, and other advanced life support equipment. These units respond to all EMS calls for service, often arriving before the ambulance and initiating patient care. They also work closely with Walker County EMS crews on critical calls throughout the district. 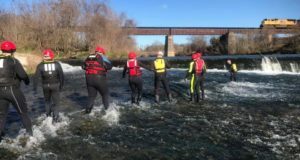 The ESD and the Department recently acquired funding and grants to replace their first line rescue unit that has been serving the community, literally since before the turn of the century. The unit referred to as “Booster 71” is a Ford F-350 purchased new from Hillcrest Ford in 1997 and equipped by firefighters under retired Fire Chief James Gregory. During its years of service, Booster 71 has responded to wildfires across the region, as well as serving as the department’s primary medical response unit, responding to several hundred calls each year. While the unit has been fairly reliable, it is nearing the end of its serviceable life and will be rotated to backup status at the department’s Sandy Creek station on FM 1374 west. The ESD purchased a new Ford F450 chassis cab from Bill Fick Ford and after its delivery, New Waverly Firefighters applied for a grant from the Texas A&M Forest Service and received $20,000 to offset some of the cost of the truck. 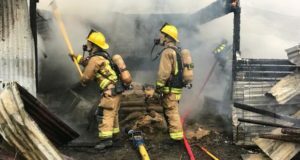 Firefighters then fitted it out, doing much of the work themselves, saving tens of thousands of dollars compared to the cost of a new turnkey manufactured unit. The new Booster 71 went into service this week and will be staffed by Firefighters who are cross-trained as EMTs or Paramedics, dependent on the nature of the emergency. The unit also carries rescue equipment often referred to as the “Jaws of Life” to access and free trapped accident victims.